Once during a time of famine, a widow and her son were on the verge of starvation (1 Kings 17). In fact, they only had enough food left for one last meal. After that, it was death for certain. Take a moment to imagine how desperate this woman’s situation was and how passionately she must have cried out to God for help. When the answer to her prayer showed up, it was not in the form of a wealthy merchant with abundant food. Her miracle, sent by God, showed up in the form of Elijah, a man with his own desperate need! Take another situation. After three days in the wilderness with Jesus, everyone was dangerously hungry. There was a real possibility that thousands of people could have collapsed on the journey back to town (Matthew 15:32). It was a desperate need. Now the disciples had some food. But they too were hungry and it was probably just enough for them. Yet Jesus asked them for it to meet the people’s needs. God’s system of multiplication defies every human logic. The world system says: “If the little I have is barely enough to meet my needs, how can I give to someone else?” But consider this: if the widow had ignored Elijah and not shared her meal with him, it would have been her last. If the disciples had refused to give up their seven loaves, they would never have received the seven baskets of loaves. God gives seed to the sower and bread to the eater (Isaiah 55:10). That is, God, the Source, gives both individuals seed (bread is made from seed). However, here is the difference between the two: the sower (giver) takes of the seed he receives from God and plants, thereby perpetuating a cycle of multiplication. The eater takes all his seed, makes bread and eats. His needs are met but he has terminated the process of multiplication. He can never enter into abundance. Understand this: what you have in your hands begins to multiply the moment you expand your vision to include meeting the needs of the people God brings your way. You cannot give what you don’t have but you can certainly give of what you do have, even when it is not enough. Don’t wait until you have “enough” to give. Start with what you have. Entrust it to God and watch him multiply it. 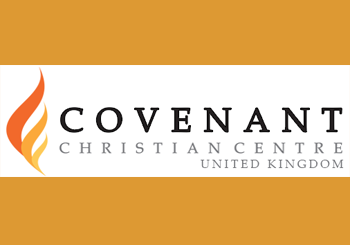 © 2019 Covenant Christian Centre, UK.